RUBENSTEIN, IRENE BERGER passed away, Thursday, March 28, 2019 at home surrounded by her loving family. A long time resident of Tampa, Irene came originally from Baltimore, Maryland. She was a graduate of Towson State Teacher’s College, Maryland, and taught fifth grade at B.C. Graham School in Tampa. She and her husband, Paul, had the well-known cinematography business, Photomart, on South Franklin street. Irene was president of Branda Vista, Inc., a commercial leasing corporation. An avid and active volunteer, she was on the board of the Community Concert Association, Temple David Sisterhood, Beth Israel Synagogue, Tampa Jewish Family Services, San Carlo Opera Company, Weinberg Village Assisted Living Facility, and on the board of the Trustees of National Jewish Health. Irene was a member of Hadassah, Florida Orchestra Guild, League of Women Voters, Brandeis University Women, National Council of Jewish Women, Tampa Bay Chapter of Rare Fruit Council, Keystone Civic Association, American Legion Auxiliary and Beach Park Homeowner’s Association. She served as supervisor of the Rodeph Sholom Synagogue Sunday School. 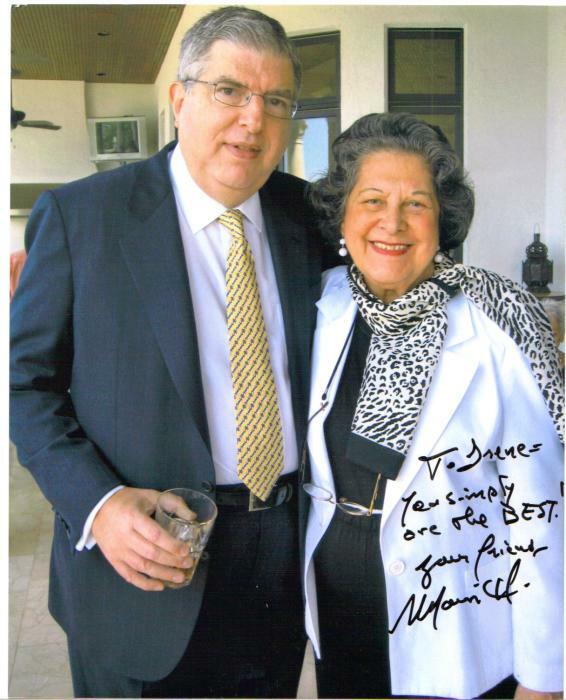 Irene touched many, many lives by her generosity, vitality and kindness and was deeply loved by family and friends. She is survived by a sister, Blanche Fierstein; daughters, Ellen (Michael) Chelmis of Asheville, NC., Nancy Messham of Charlotte, NC; grandchildren, Rachel, Anna, Sarah, Paul, and Alexander; great-grandchildren Michael, Hailey, Brayden and Corinne; nieces and nephews. In lieu of flowers, donations in Irene’s name may be made to National Jewish Health in Denver, The Florida Orchestra, or the St. Pete Opera. Graveside Services will be held Sunday, 10:30 am at Myrtle Hill Memorial Park.